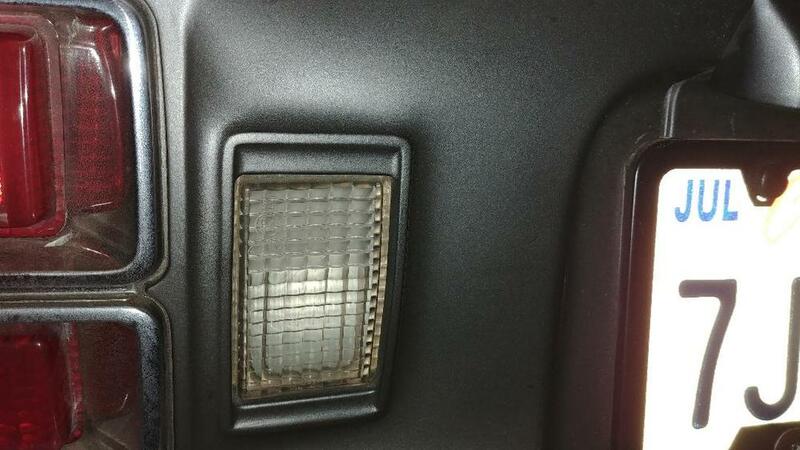 I purchased a can of spray paint from a vendor that was supposed to be a exact match for the taillight panel but it seems to be too light, more of a "battleship grey" than the correct "charcoal grey" . Does anyone have a source for the correct color paint? 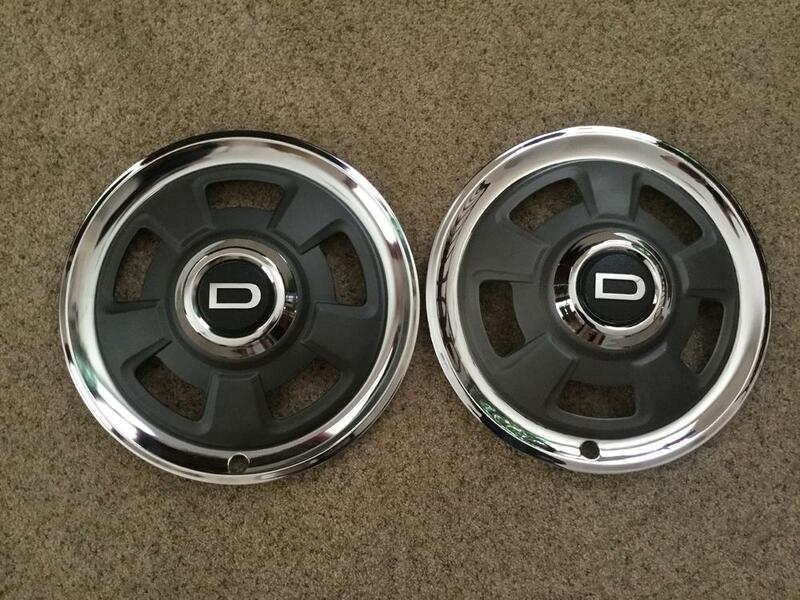 Also I need to touch up the grey panels on an original set of wheel covers. Does anyone have a source for that color? Who did you buy it from? This is the best one I've seen. I used a Dupli Color wheel color that looks good enough but has a little too much metallic for me, I'll redo it someday. I was working on this at the end of last season. I tried all the previously mentioned over the counter options and wasn't satisfied, so I took matters into my own hands. I found something better. Something that nobody else has tried before. Something that doesn't light-up when the light hits it at the right (wrong?) angle like all the previous suggestions. so, are you going to finish, or what? What? You guys want more detail than that? It is a flat surface finish. It is a single layer of paint and is not clear coated on top. Meaning the flat finish comes from the one and only layer, not from a flat clear spray on top of a color coat. Looking under magnification, the original paint is a metallic flaked finish. There are sparkly bits present in the original coating. Even though it is a "metallic" paint, the flakes are very small and the density of the flakes is not very high. In other words, even though it's "metallic", it's just slightly. The reflective bits in the original finish do not "light up" the whole surface when light is reflected at any angle off the material. In other words, you can't angle the light to any position where the light reflects off a whole layer of metallic bits instead of the top paint surface. That last point may require a little explanation... I'm not paint guy, but from my investigations, it seems there are two ways to get a painted surface to reflect a lot of light. The first is reflection off a glossy top surface. The second is off a reflective layer (of shiny metallic bits for example) under the surface. Using the extreme case of a mirror as an example: You can get a light reflection off the smooth top surface of glass. You can also get a second reflection off the silvered layer beneath. You could spray the mirror with flat clear coat on top and break up the top surface, but you would still get a reflection from the silvered layer beneath. Might be blurry, but that thing would light up in the sun if you get the angle just right. So back to metallic paints... My analysis is that if the reflective bits are too populous, too large, the wrong color, the wrong shape, or all just happen to lay out in the same position, they will make the paint light up at a certain angle even if the surface is a dull flat. In other words, they will look great straight on, but at an angle you will light up the reflective flakes. An accurate substitution for the original paint would not only be the correct color and would be slightly metallic, but would NOT light up at any light angle. IMHO, all of the previously tried paints either were the wrong base color, or had problems with the reflective bits lighting up at a certain reflection angle. Are the panels the same color thru the years, 70-78? 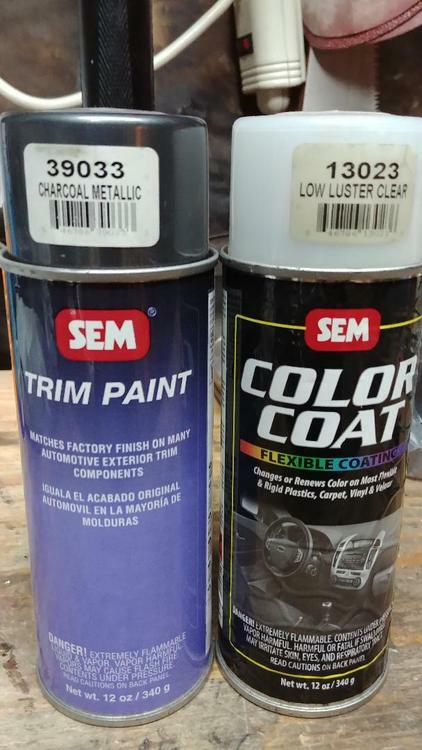 If so SEM makes a paint in rattle cans that looks real close if not identical to that gray panel color. Like CO said, it has a slight metallic look to it. I'll post a pic of the can later. I have it and applied it. Looks great! 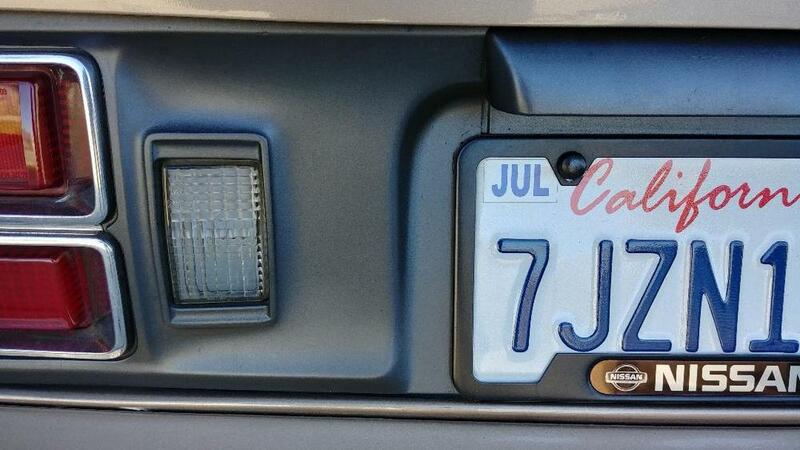 But you'll have to get their clear to put on it as well because the "gray color" is a flat finish. I'll post pics of the painted panel for you as well, as soon as I can. Thin 100-150% and spray on fairly dry. Regulate air pressure to the high side. Swirl paint around in the cup constantly to help keep texture additives in suspension. Maintain spray gun distance and overlap coverage on the final coat, or variations in surface texture may be unacceptable. This paint should NOT have gloss, so don't expect any. I am of the school that Nissan did not make different colors for the grill, wheel covers, and tail finisher. They all match. I call the color "anthracite" which is a darker gun-metal grey. Others seem to think the grey should be lighter / more silver grey. I did a lot of searching and that's where the previous suggestions for options came from. And I have no doubt that someone who has painting equipment and knows what they are doing should be able to mix up a great match to the original. Body shops do that every day. But that's not me, and not what I'm talking about. I went looking for a cheap, easy to obtain over the counter solution that would not require the expense of a body shop. Something better than the previous aftermarket solutions that might not be able to be distinguished from the original by all but maybe the most discerning experts. I'm gonna go back to stringing these guys along! Haha!! Here ya go. If you want more pics let me know. As you can see it is the "mat" looking finish that was original to the car. This is what I used to get there. I did 2 coats of gray and 1 of clear. May not be the best pic of the panel. I'll attempt a better one later. Here's a couple more pics. I painted it about 4 yrs ago and it still looks good. have formula comments that tell when the clearcoat is required. Do you guys think there's a difference in the 240 & 280s color? I was thinking the 280s are more of blackish color but I'm color dumb. My 280's faded all to hell. Do you guys think there's a difference in the 240 & 280s color? That's what I was thinking but no one responded that very question I posted. Looks the same here though. At least the color does. The topic question has to do with correct color, not how cheap you can be with something close. Studegard seems to think that what he bought is too light even though it is supposed to be 'correct'. Can we please stick to the topic? I really like that color. Paint your spoiler the same. Would look great! I think everyone is overthinking the correct hubcap, grill, and tail light surround color and how to match it. of color, texture, and low gloss as compared to the original. D-caps I restored with new chrome and paint from Les, judges could apparently not tell any difference. create this soft paint edge. attached is a picture of a NOS D-cap on the left beside my restored D-cap on the right. I have not been able to get back to this thread since my original post but have been keeping track of all the posts. Thanks to everyone for their input. I sure have many options at this point and am very pleased with all the very helpful responses. 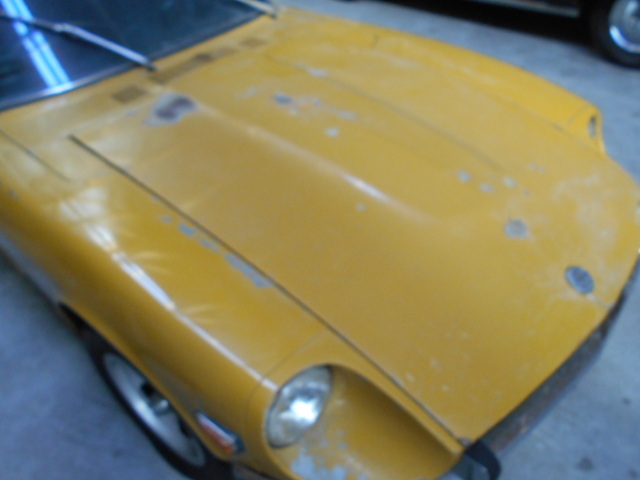 I'm new to the Z community ( purchased a 1970 Vin #509 this past November) and doing a total restoration. I'm sure I'll have many more questions. This is certainly the "Go To" place . 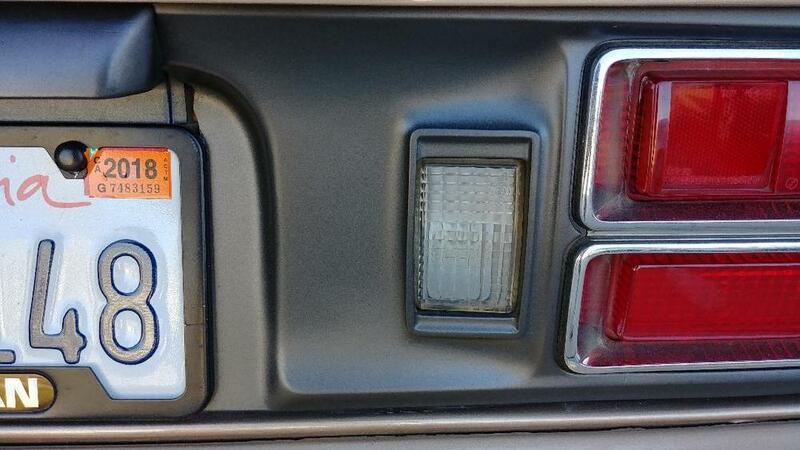 The spoiler will be painted like the tail light panel. 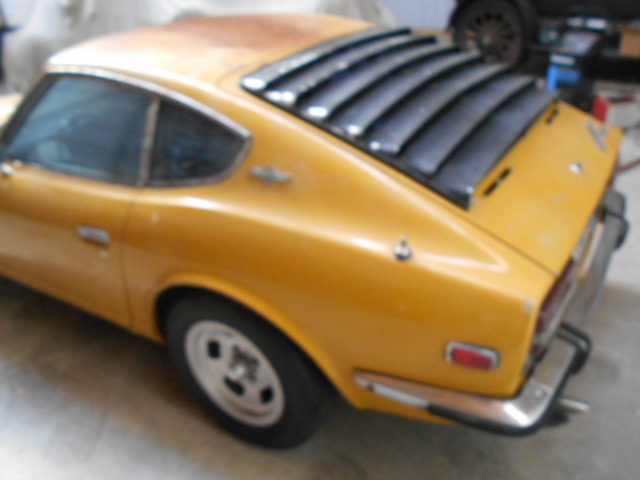 Spoiler isent mounted yet. The topic question has to do with correct color, not how cheap you can be with something close. Can we please stick to the topic? Sure. The OP asked "Does anyone have a source for the correct color paint?" And to that question, several people have offered up suggestions of sources they think are the correct color. Some of them cheap and easy to find, and some of them expensive and much more difficult to obtain. But cost and availability aside, I believe all the responses to date have stuck to the topic. Every single one of them. Search the archives. This topic has been beaten to death!